Do you know the saying “It’s good to learn from your mistakes, but it’s better to learn from other people’s mistakes?” Well…on that note, we’ve listed a couple insights that can help you avoid 8 big survey maker mistakes. The definition of feedback is: “Praise or criticism given in response to something you do”. Not listening to feedback is the same as not listening to your audience. And how can you grow if you’re not willing to listen and adjust to what your respondents need and expect from your surveys. Tip: There’s a great opportunity to follow up with users after they’ve submitted their responses and let them know you’re listening. Tell them you’re changing A, B, C issues they’ve mentioned for example. Focus on creating a better and more open line of communication with your respondents. That’s why feedback isn’t only important for you but for your respondent as well because they feel listened to. Not only that, it motivates them to take follow-up surveys if you plan on contacting them again. Why only use text questions when you have tons of different question types to add diversity to your surveys? Here at Survey Anyplace we have also a lot of fun gamification features, like the widgets to hand out Incentives. Take incentivizing to another level with a digital Scratch Card or Slot Machine. OR, maybe try adding a fun video or a few gifs to spruce up your survey. Adding these type of elements and variations in your question sequence will help your respondents keep their head in the game and remain focused. Do you have a serious topic or difficult material? Add these types of questions and methods to make your survey more accessible and easier to get through. Take our survey maker for a spin with a free trial if you want to experiment right away. Definitely a no-no – bad mouthing your competitors is something you don’t do. Why? Because it can hinder and bring damage to your own reputation. Being the “bigger man” gives a much better impression to leads or customers. When you speak negatively about the competition, you might appear to be jealous or fearful of them. On top of that, you want your client to select you because they feel you best understand their situation and they see you as the best. So try not to create destructive situations, okay? Why shouldn’t you? Next to the normal ways of sharing your surveys like embedded in an email or a cool button in your newsletter. Try all your social platforms as well, they all have their advantages and can be used for specific reasons. Write an engaging message for your social media post. The better the message, the more it will be shared. Short messages stand out — but long messages work if they’re compelling. Add an incentive to increase your response rate. Make sure you check the local rules and regulations about online giveaways. 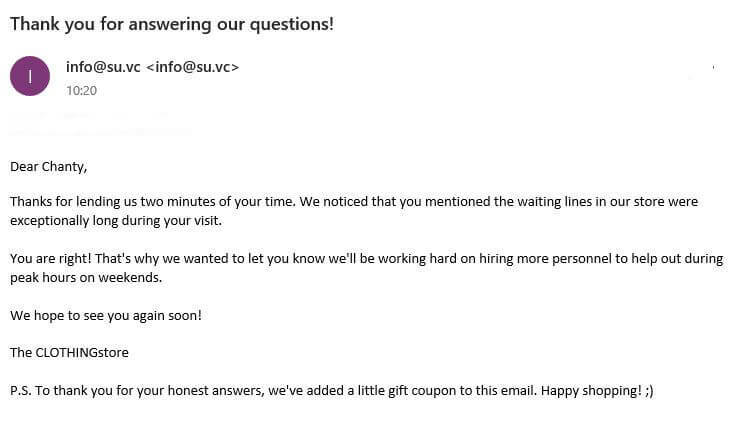 Choose the right time to post your survey. Keep the peek user moments in the back of your mind when posting. Let your own network share your survey and increase your reach even more people. Make sharing your survey easy. Add a share button to your survey and let your respondents do the rest. Try going mobile with your survey, which is what the Survey Anyplace survey maker was made for in the first place! You could share your surveys via Whatsapp for example, or ask people to scan a QR-code or even let them type in a shortlink on their mobile devices. Add this big advantage to your sharing strategy and take over mobile! Use your own branding as a way to stand out. This makes it easier for people to connect with you as a brand, it feels like they’re communicating with a brand they already know. It creates a feeling of trust and so you can make it fit with your other communication to lower the threshold of participating. In our tool, you can easily customize your surveys and questionnaires with just a click of a button. You can customize every question with different types of media, from images to videos and gifs. Easy peasy lemon squeezy. Limiting yourself to just one question type doesn’t answer the need for engagement and interactivity that digital marketing demands and may influence your conversions! Think twice about every question for a customers survey. Avoid duplications, and choose question-answer types carefully to get accurate insights from respondents. This provides the respondent with a list, made by you, which they can rank according to their liking or knowledge. Want to know what aspects of your product the respondents like best? List them and let your respondents rank the items themselves. It’s fun, interactive and easy. If you want to know a degree of opinion instead of a score you can use the Text Slider. Use a Number Slider when you’re talking ratings. Using sliders is an interactive and fun question type that works especially well on mobile. It spices up your survey because your respondents can’t just click on something. They have to actively drag the slider across the screen. The Scratch Card is used to give away incentives or to make your questionnaire more entertaining. By adding incentives you will increase the participation rate. Slot machines are another way to keep the attention of your respondents. An incentive can be promised when a respondent wins. This will improve the participation rate and lower the dropout rate. Set the probability of winning and determine how many times someone can play the Slot Machine. The biggest advantage of a survey tool like Survey Anyplace is the ability to create a completely custom look and feel without paying top dollar to create a unique and custom-developed survey. 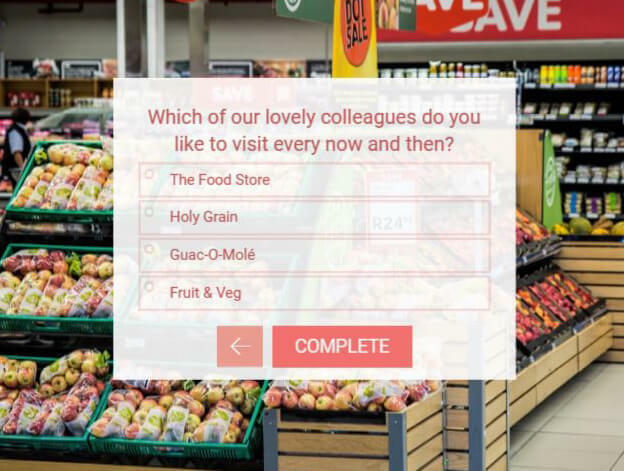 By using the design features and interactive options in a smart way, you can create amazingly unique surveys that generate awesome engagement rates. So start from a simple form-based survey but create an amazing look and feel by using our (free) online survey maker and cool design features. Cross media management student, who's discovering the Digital world as an intern @ Survey Anyplace. Thank you for your hard work ?? Chanty Hyder, thanks a lot for the post.Really thank you! Much obliged.